When I’m not writing about math or literacy, I find myself in the garden these days. 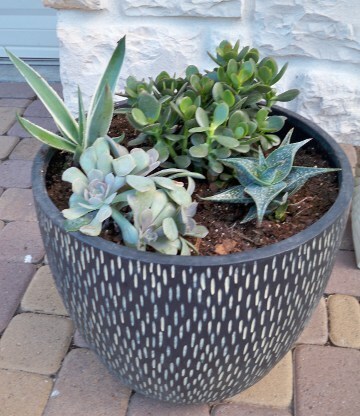 This summer I planted mini-succulent gardens in pots. 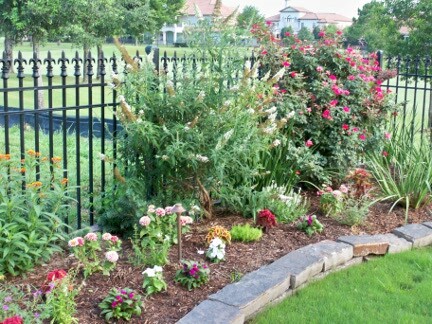 These will only be watered about once a week when I begin traveling again, so they have to be drought-tolerant. 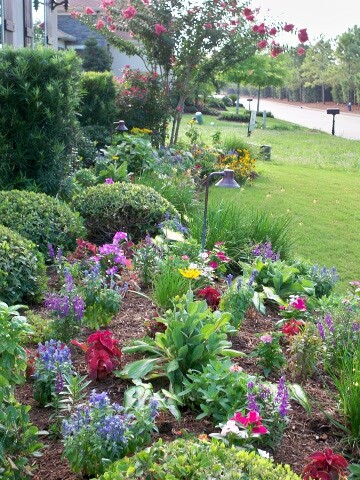 We have a great sprinkler system, so it’s color galore in the rest of my gardens. Just planted the summer beds full of hardy stuff that loves the heat. 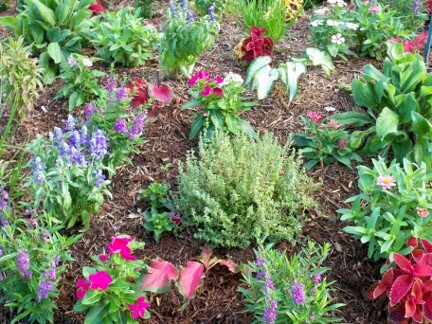 Decided to tuck herbs into the flower beds in the front, since Hercules doesn’t hang out there and tranple them. I love cooking with fresh herbs! So I’ve got lots of basil, thyme, marjoram, sage, rosemary, and Italian flat-leaf parsley. In the back are the really tough plants. Knockout roses that bloom 12 months a year here. Lots of butterfly-loving plants abound. One thing I love about living in Houston is the winter here. We don’t get snow, and there are very limited nights when our temperatures hover near freezing. 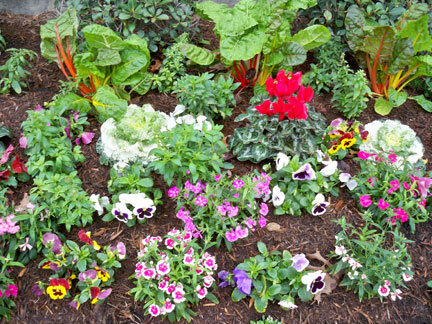 But the best thing of all is winter color in the garden! We did have a colder-than-usual spell which prompted having to pull out every bedsheet I own to cover my precious blooms. But it was worth it. The colors are amazing right now! 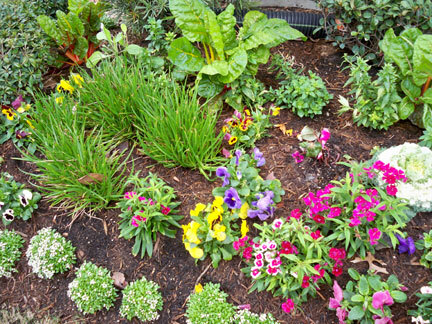 There are pink dianthus, multi-colored cyclamen, white ornamental kale, big-faced pansies, fragrant sweet alyssum, and Swiss chard. Every time I go by my front yard, my flowers make me smile.